I just realized that neither Amey or I have posted any updates since Phoebe was released from the hospital. By now you know that no news is usually good news. 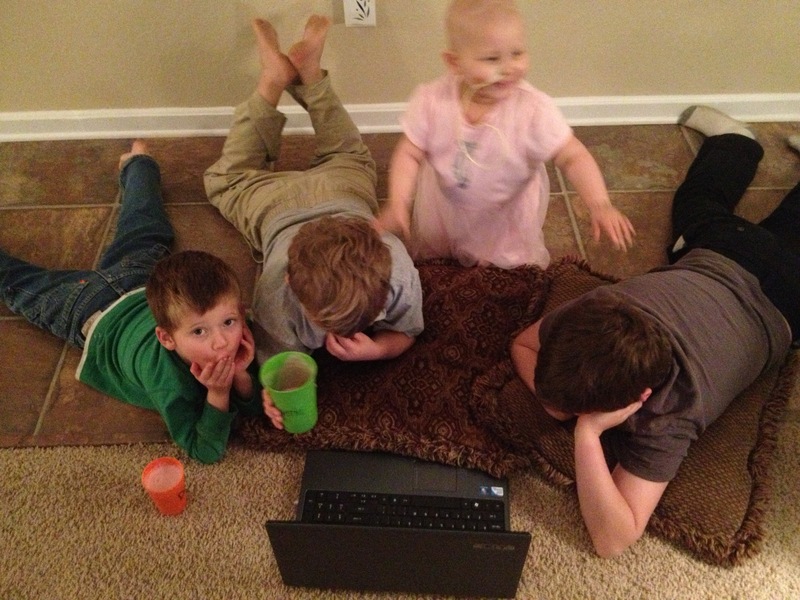 Over the past few weeks we have been battling some kind of virus. Phoebe was scheduled to be admitted today for chemo, but on top of everything else, she has developed some kind of head cold with a nasty cough. 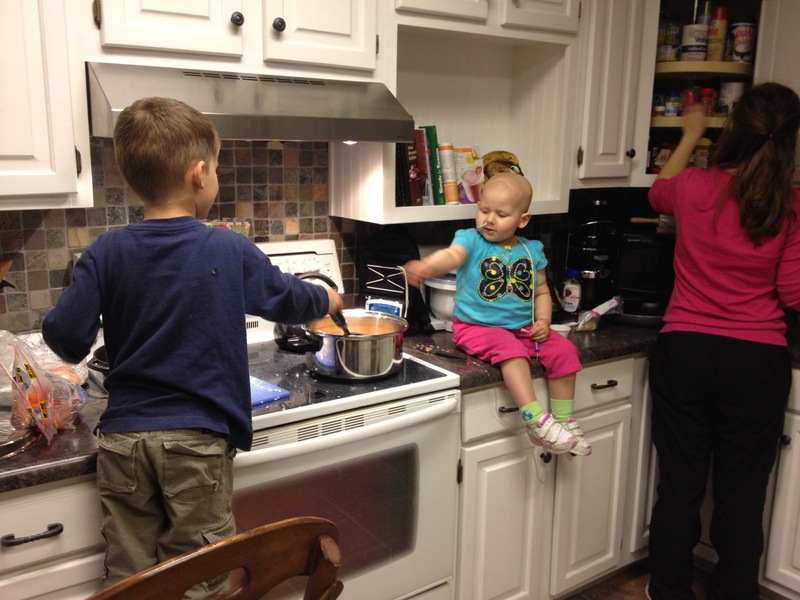 This is not typically a big deal, but she needs to be at tip-top shape to handle the beating the chemo dishes out. 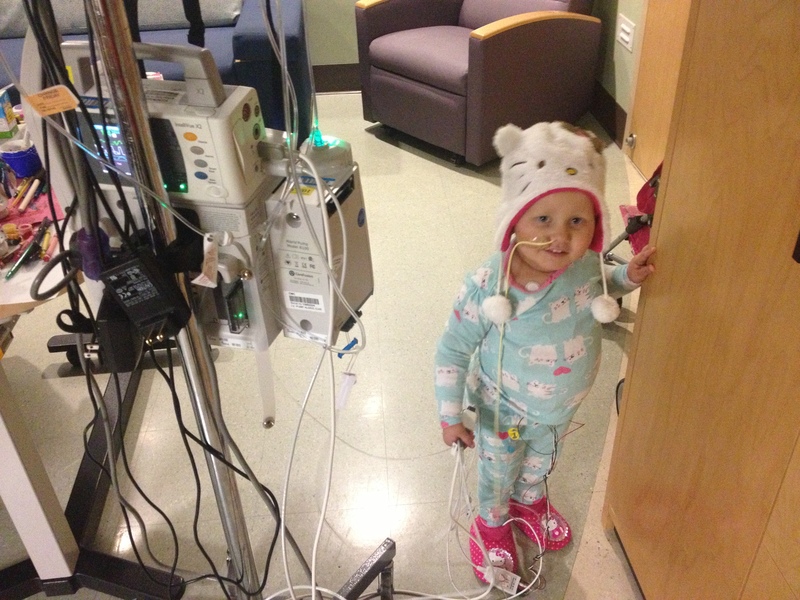 My prayer is that God will continue to sustain Phoebe in ways the rest of us could never understand…. 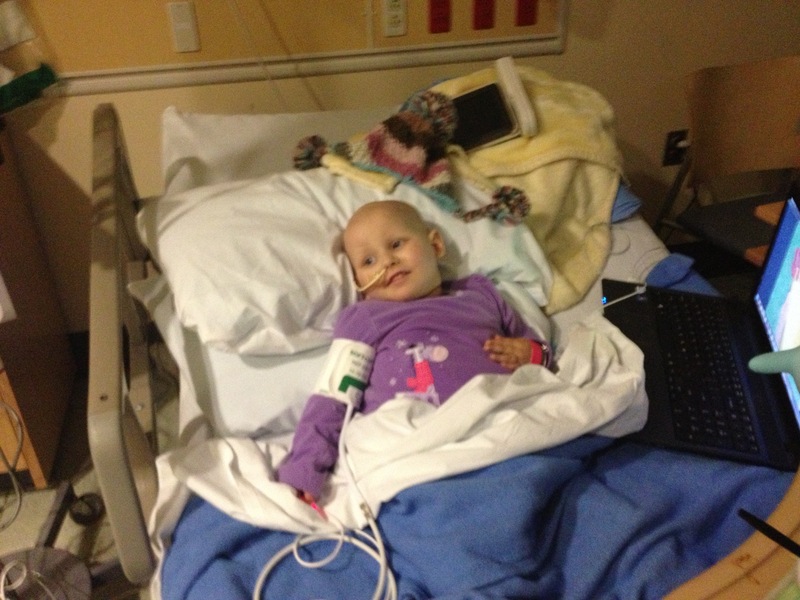 There are hundreds of people to thank, quite possibly thousands if you include all of the people praying for Phoebe. We do our best to send thank yous out. Recently I took a picture of phoebe, thanking our local hardware store. The owners are a wonderful couple who attend our church and helped us, along with many others, to make our house safe for Phoebe to come home to. Although this was an indescribable blessing, the reason I bring it up is because I really wanted to share the “thank you picture” we took because she is so darn cute in it! 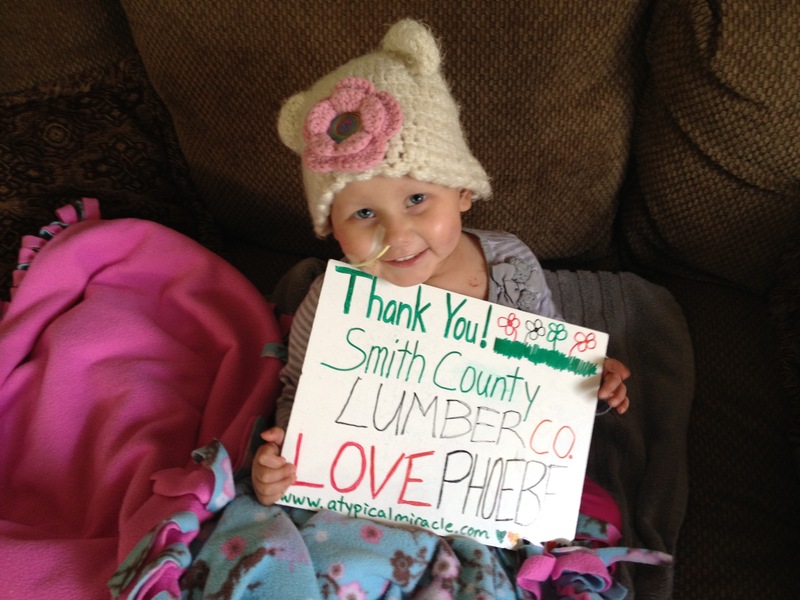 Thanks Smith County Lumber Co in Lindale! 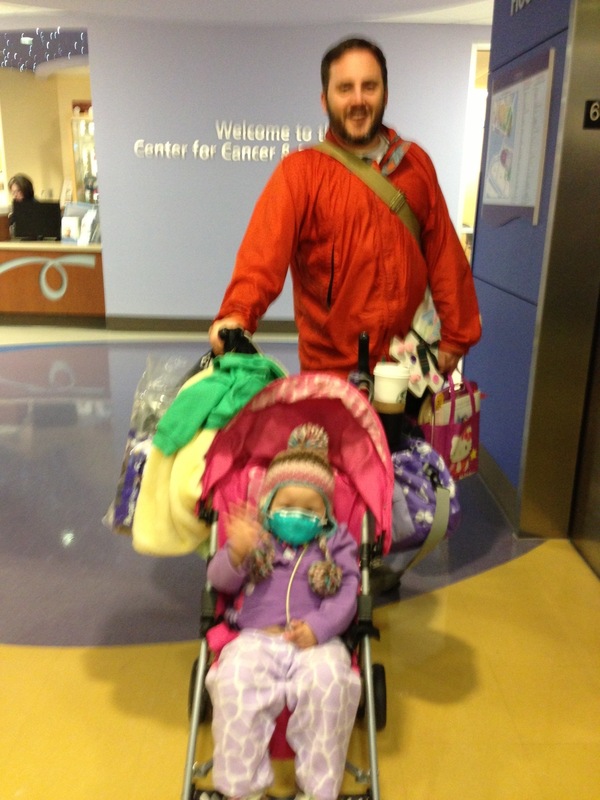 Phoebe is doing great, her immune system is coming back and we are on the way home! She seems about the same today. She received a another bag of blood as all of her numbers have hit rock bottom. 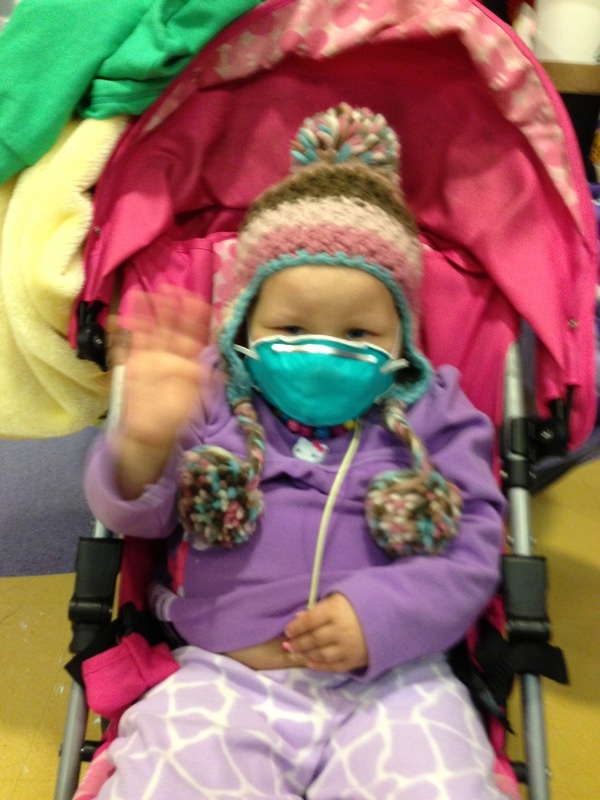 She still has fever but, we are expecting her to get better as the week goes on and her immune system comes back. We are also in quarantine because of the fever. This is really been hard on Phoebe because she loves to go to the playroom. I really am grateful to the nurses, volunteers, chaplains and staff that have taken the time to come play and talk with Phoebe in our room today! Phoebe’s face lights up when a visitor comes in! Phebe Skpyes with her grandparents and cousins. 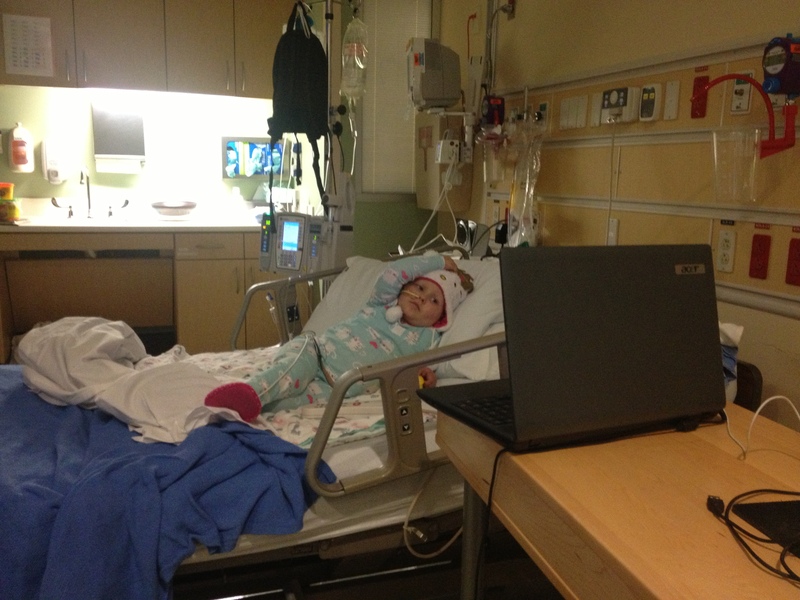 Phoebe has had more fever today and her hemoglobin dropped back down to 7 despite her blood transfusion yesterday. She got another unit of blood today and will hopefully feel better soon. This round of chemo has really squashed her blood. 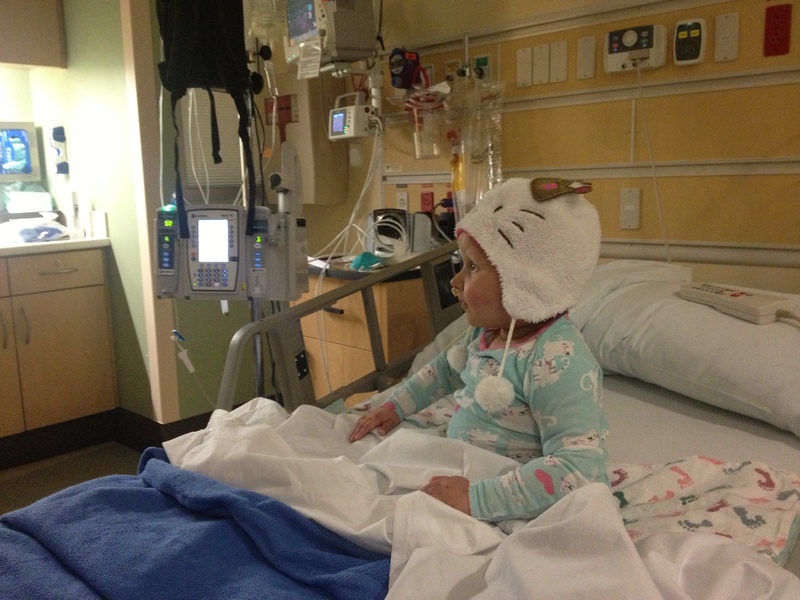 Please pray that she would be able to maintain a decent hemoglobin level so that she will feel well enough to eat. Thanks everyone..
Just wanted to update that Phoebe is doing better. Her hemoglobin was at an all-time low of 6 and her symptoms seem to be primarily related to severe anemia. She received a blood transusion this afternoon and was transfered to the oncology floor where she continued to show improvement and perk up. She still has not had an appetite, but Nathan said she is obviously feeling much better. Unfortunately, she will have to remain in-patient until her blood counts start to come up, so it could be a few days before she is allowed to come home. Nathan was able to take a good long nap with her late this morning and a dear friend brought him breakfast and coffee. Thank you all for lifting us up today and in the wee small hours. Thankfully this time it looks like it was just a chemo-related issue and not illness. It’s 9 am and they are still in the Emergency Room. It has been a long night, with 3 attempts to access her port with no luck. They gave her an IV in her hand, only to have it quit working a short time later and had to put one in her other hand. Her sodium level is fine, but her hemoglobin is low so she is being prepped for a transfusion with Benadryl. Her blood pressure is low and they are going to keep her in ER until they decide where to transfer her, either Oncology floor or ICU. Thank you all for praying for our girl.